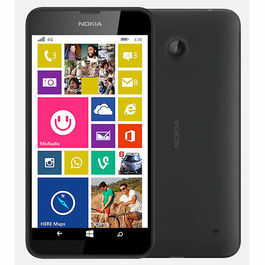 Nokia is presenting it's new phone Nokia Lumia 1320 full of alluring features with a big and beautiful screen. 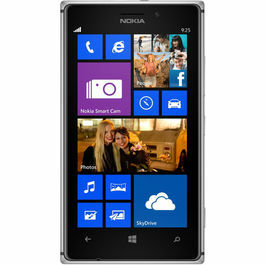 Nokia Lumia 1320 has a 6 Inches super sensitive touch HD720 display with a screen resolution of 1280x 720 pixels. The phone has Corning Gorilla Glass 3 that provides toughness to screen. It has brightness control mode with color boosting and wide view angle that gives a complete new experience of having a smartphone and makes you stand out from the crowd. Get high speed accessibility in the phone as it is enabled with Qualcomm Snapdragon™ S4 processor and Dual-core 1.7 GHz Processor type. 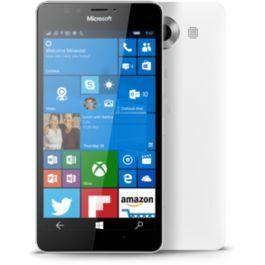 It is a Windows 8 phone with latest version i.e. Windows 8 which provides a smoothness while playing games and internet surfing. 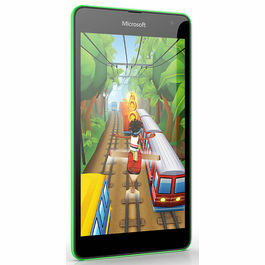 Always stay updated with the latest happenings as you can access internet in your Nokia Lumia 1320 with Wi-Fi. You can transfer data from your phone to the PC or Laptop with the help of USB and Bluetooth. Now use a 5 MP primary camera to capture great pictures with a resolution of 2592x 1936 Pixels. 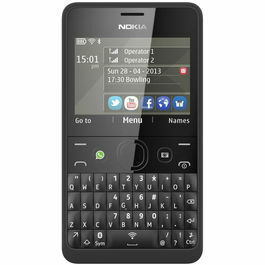 It has a camera digital zoom of 4x and an LED flash that captures clear pictures even in dim light. The phone is having a secondary camera with a resolution of 640x 480 pixels which you can use for video recording or video calling. Nokia Lumia 1320 has gorgeous photography apps like Nokia Camera and Nokia storyteller that add life to your pictures. 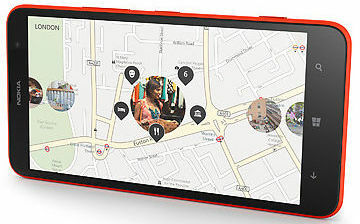 Download interesting apps like Nokia Storyteller and organise your photographs, videos automatically and more on HERE maps. It enables you to share the whole story on a bigger screen with pictures and locations. 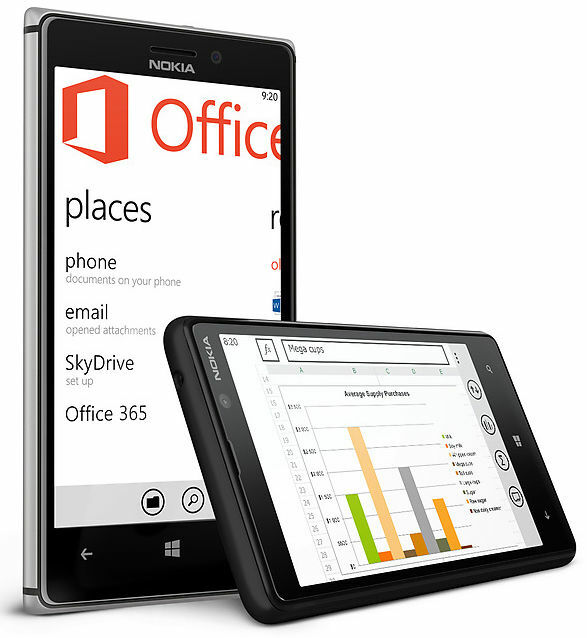 You can carry your office documents, pictures, videos, notes wherever you are with SkyDrive. The phone has an 8 GB mass memory and 1 GB RAM. To store more apps you can expand it up to 64 GB with microSD card. 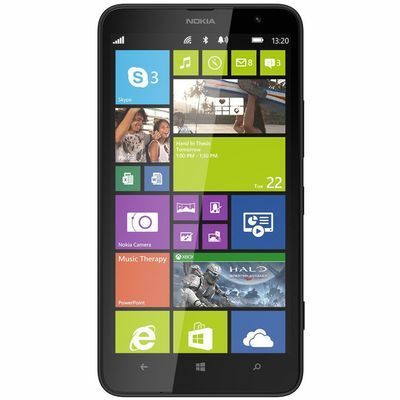 Nokia Lumia 1320 is a smart business phone with built-in Microsoft Office and few other great apps like Microsoft Exchange, Lync and Office 365. It facilitates you to save, edit and open the document in Powerpoint, Word, Excel formats without loosing the original formatting. Nokia Lumia series has stunning music apps and same with Lumia 1320 it is equipped with apps like Nokia Music, Mix Radio and Xbox Music. It has a FM Radio so tat you can relish your favourite music station that ensures to give you superior sound quality. A 3400 mAh battery capacity and a 3.8 V battery voltage ensures to give a maximum standby talk time of 28 days and a Maximum Wi-Fi network browsing time of 11.5 hours. 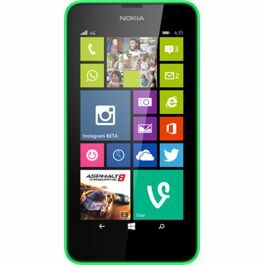 Nokia is presenting it's new phone Nokia Lumia 1320 full of alluring features with a big and beautiful screen.Bigger Screen, More Fun Nokia Lumia 1320 has a 6 Inches super sensitive touch HD720 display with a screen resolution of 1280x 720 pixels. The phone has Corning Gorilla Glass 3 that provides toughness to screen. It has brightness control mode with color boosting and wide view angle that gives a complete new experience of having a smartphone and makes you stand out from the crowd. Operating System Get high speed accessibility in the phone as it is enabled with Qualcomm Snapdragon™ S4 processor and Dual-core 1.7 GHz Processor type. 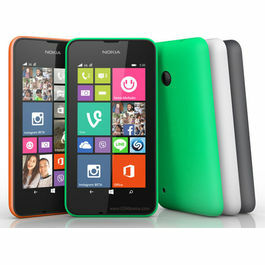 It is a Windows 8 phone with latest version i.e. Windows 8 which provides a smoothness while playing games and internet surfing. Connectivity Always stay updated with the latest happenings as you can access internet in your Nokia Lumia 1320 with Wi-Fi. You can transfer data from your phone to the PC or Laptop with the help of USB and Bluetooth. Add Magic To Your Photos Now use a 5 MP primary camera to capture great pictures with a resolution of 2592x 1936 Pixels. It has a camera digital zoom of 4x and an LED flash that captures clear pictures even in dim light. The phone is having a secondary camera with a resolution of 640x 480 pixels which you can use for video recording or video calling. Nokia Lumia 1320 has gorgeous photography apps like Nokia Camera and Nokia storyteller that add life to your pictures. Tell A Better Story Download interesting apps like Nokia Storyteller and organise your photographs, videos automatically and more on HERE maps. It enables you to share the whole story on a bigger screen with pictures and locations. Take Your Stuff Wherever You GoYou can carry your office documents, pictures, videos, notes wherever you are with SkyDrive. The phone has an 8 GB mass memory and 1 GB RAM. To store more apps you can expand it up to 64 GB with microSD card. 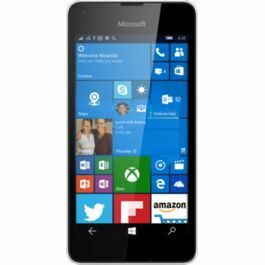 Fit For Business Nokia Lumia 1320 is a smart business phone with built-in Microsoft Office and few other great apps like Microsoft Exchange, Lync and Office 365. It facilitates you to save, edit and open the document in Powerpoint, Word, Excel formats without loosing the original formatting. 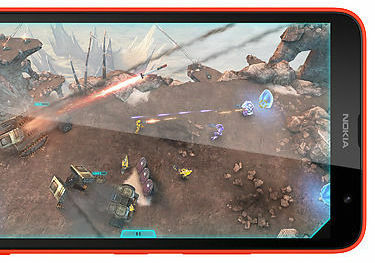 Multimedia Nokia Lumia series has stunning music apps and same with Lumia 1320 it is equipped with apps like Nokia Music, Mix Radio and Xbox Music. It has a FM Radio so tat you can relish your favourite music station that ensures to give you superior sound quality. Battery A 3400 mAh battery capacity and a 3.8 V battery voltage ensures to give a maximum standby talk time of 28 days and a Maximum Wi-Fi network browsing time of 11.5 hours.